I haven’t had a chance to catch up with Tod Goldberg’s first Burn Notice novel, The Fix, and now before I know it, a second tie-in novel is about to be released. 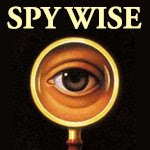 Luckily Wesley Britton at Spy Wise is on the ball and has previewed the new story, End Game. It seems like I have a bit of catching up to do! To read Wes Britton’s review of Burn Notice: End Game click here.